I mentioned yesterday that I went to the AMA Cause Conference. At one point, a panel moderator stood up and told a story about how when you're young you have big ideas about changing the world and as you grow older and wiser, eventually you realize that the best thing to change is yourself. I loved this and took the idea home to Preston, saying I wanted to do more good - wanted to make myself a better person. I don't need to change the world, I just want to make a difference in someone else's life. We decided we were going to do 50 acts of kindness - simple things that improve the lives of others. 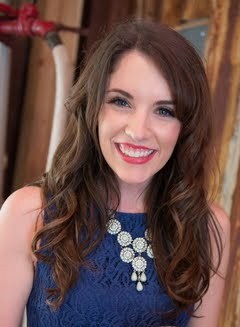 We decided our wedding (Aug 11, 2012 :)) was a perfect deadline. So today marks #1! I had the privilege of hearing the Director of Development of Kiva, Bennett Grassano speak yesterday. 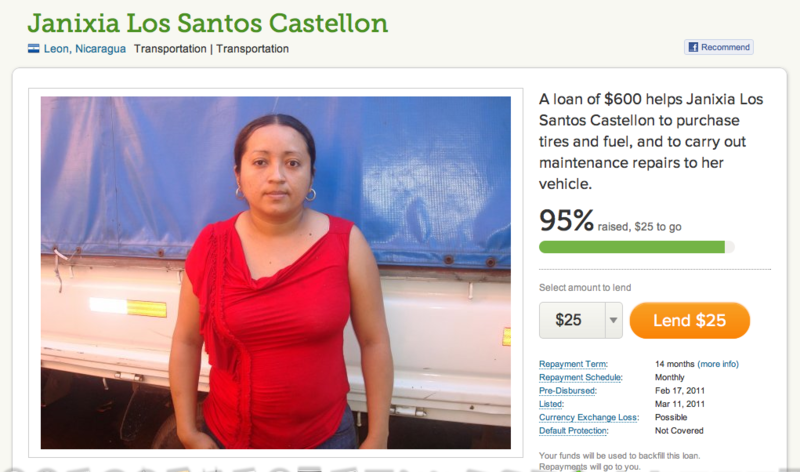 Kiva is the first (to my knowledge) NPO that allows donors to microlend to individuals all over the world. They explain it best, saying "we [have a] mission to connect people through lending to alleviate poverty. Leveraging the internet and a worldwide network of microfinance institutions, [we] let individuals lend as little as $25 to help create opportunity around the world." The best part, in my opinion, is that it allows you to see the people who you are helping and how they will be using the loan for their business. Oh! And, because they are loans, they repay you once they have utilized the loan to grow their business and you are able to lend to others to continue to help people - amazing! Another thing I like about Kiva (I think that's the 945th thing!) is they give you the option to add a $3.75 onto your donation to help with their operating costs. Genius! 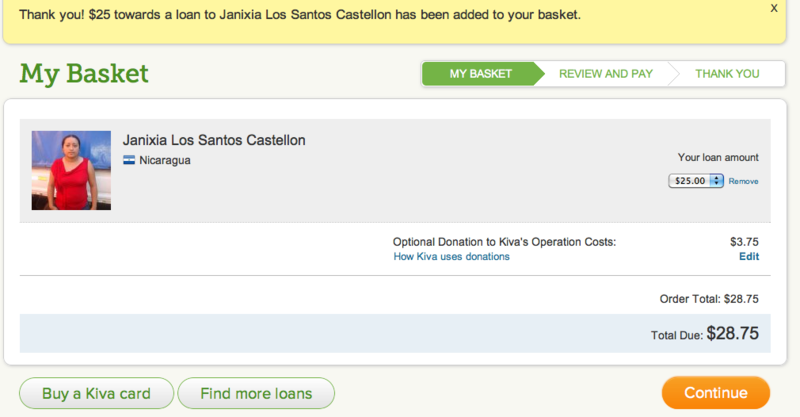 If you make a donation with Kiva, absolutely do this!! I think people often forget that NPOs are businesses, they have operating expenses too. I appreciate their transparency in letting you know exactly where your money is going. I am excited to hear how Janixia and her business continue to grow, and I am excited to brainstorm the next 49 acts of kindness with P. Suggestions welcome! And how could I forget, Happy St. Patricks day!